You may have missed it, but this summer’s mega-thriller, Jurassic World, had some serious educational implications. These insights are not gleaned from the disinterested teen locked to his phone or the genetic improbabilities of splicing DNA from myriad animals to create the ultimate killer dinosaur. In fact, a guide to educational awesomeness can be gathered from a single scene – training velociraptors. Whether you are training velociraptors or teaching 4th graders fractions, it’s difficult to find success without first building relationships. It doesn’t matter if you have state of the art materials, devices, or the most expert training – if a strong relationship doesn’t exist, the long term results will be tenuous. As with velociraptors, it takes time to establish a rapport with students. It can be tempting to jump head first into content before getting to know the students and building a community. While students won’t tear your arms off if they don’t have a connection, productivity decreases dramatically in a classroom without community. Where I failed: This past school year, I gave up my 6th grade homeroom duties, freeing up a couple periods to help other teachers in the building integrate technology. As a result, my time with the 6th graders decreased by nearly 2 hours. Without that extra time, I didn’t have the opportunity to get to know the students as I had previously. When they came to me for science class, I made the mistake of jumping into content much too early. It ended up being a tough semester and we didn’t get nearly as much done as previous classes. Over time, we built a stronger sense of community and the second semester was much more productive. All of this could have been avoided by following the first step of training velociraptors – building relationships. 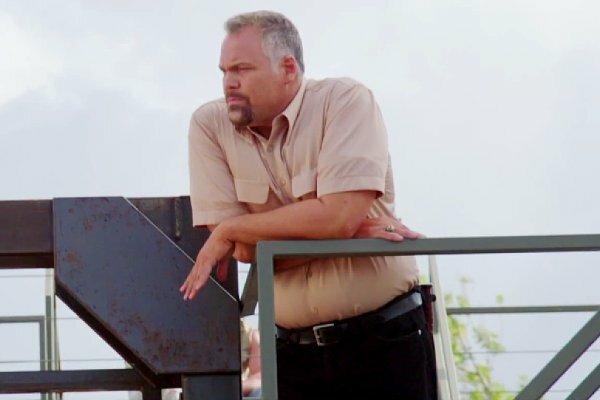 In Jurassic World, the villain sees the velociraptors as cogs in a machine and doesn’t recognize th at each animal has different needs. He doesn’t separate the individuals from the herd – and ends up getting his arms ripped off. In the classroom, it is easy to get into a cycle of planning lessons with a herd mentality (teacher led powerpoint, everyone read pages 100-110 and answer these questions). The velociraptor trainers/teachers take a different approach. They call each dinosaur by name and attend to each on an individual basis, while at the same time working with the herd. Individualizing lessons and shrinking the classroom with small, collaborative groups certainly takes more effort, but pays off in the end. With enough training and practice, a student centered classroom can reduce teacher workload and increase productivity. While it isn’t possible to individualize each lesson of every day for a group of 20 students, and retain sanity, there are a lot of strategies to break down groups for more individualized learning. Below are some resources that may help. Velociraptors can’t be trained overnight and students don’t magically ‘get’ fractions. It takes time, perseverance, and a good deal of failure along the way. I really dislike when educators refer to the “lightbulb moment” as a magical instant when a student figures something out. It discounts the hours, weeks, and sometimes years of work that go into mastering a skill. Students start learning about fractions in 2nd grade and it can still challenge them in high school and beyond. Struggling and working through difficult concepts isn’t limited to students though – it’s incredibly important for teachers. The trainers in Jurassic World had some clear failures along the way. While there is no silver bullet when it comes to teaching students grit, modeling this as a teacher by reworking lessons that fall flat or re-teaching areas in which students aren’t meeting goals can go a long way. If you googled yourself right now, the chances that your newly created Weebly teacher site shows up are slim. Since this is the most likely way that students and parents will find your website, it’s important to increase your SEO (Search Engine Optimization). If your website is the top hit in a Google search – that is a good place to be. There are a few simple things you can do on Weebly to improve this. It may take a little while for search engines to map your site, but over time your position will improve. – In the site description area, briefly explain your site. This is what will appear under the link to your site in a Google search. – The keywords section is very important. For this, think of anything related to your site that people may use in a search. Your name, school, subjects taught, and pages on your site (like Homework) are excellent keywords to include. Just separate each keyword or phrase with a comma. You can do this for individual pages on your site by going to Pages–>Your Page–>Advanced, but it is most important to do it for the whole site first (via the Settings Tab). – Weebly gives pretty good site stats, but if you want more, add a Google Analytics code to to the footer (for more information, see this video). – Get your own domain name through Weebly or another service. You can do this (for a fee) through Weebly in a few simple steps. It gives your site more legitimacy since you won’t be using a weebly sub-domain and makes it easier for people to remember your web url. – Outside of Weebly there are some more things you can do: Add a link to your site in your social media profiles; Encourage friends and colleagues to put a link to your site on theirs (offer to do the same); Share your website with others. The more places your site is linked, the higher you’ll rise in search results. We wrapped the 2012-2013 two weeks ago and I thought I’d write my first post in almost a year about some of the things I tried out this year (that didn’t fail miserably). Also, I moved this blog to a new location after some problems with my old webhost, so it’s also my first post at the new location. 1. – Chrome became my primary web browser about 2 years ago and the primary browser for my students this school year. In August, I showed them how to log into Chrome and add a few apps and they were hooked. Now the students can log in on any computer and get the same experience they have on their school machine. They especially like customizing the backgrounds and having their apps travel with them. This hasn’t been without some troubles. Some students have logged into Chrome on public computers and not logged out, leading to some “problems” on their account. Others have loaded so many extensions that their Chrome slows to a crawl. Despite a few mild hiccups (many of which provided lessons on digital citizenship), Chrome has helped make my students far more productive. We get to the things we use regularly – Google Apps and some Chrome Apps – much quicker and search more efficiently. 2. – I started using Mentor Mob last summer as a new and improved way to aggregate websites. During the year, I started using it with students in my science and civics classes. It’s a great way to create a list of websites for a specific unit. The best part is that students can navigate to any of the websites on the list without ever leaving the window. Mentor Mob has a few features I like compared to similar webapps, including the ability to add an assessment to your list and embed a preview of the list on a webpage. This makes it easy for students to access what they need quickly, without having to navigate lots of tabs or windows (example). 3. 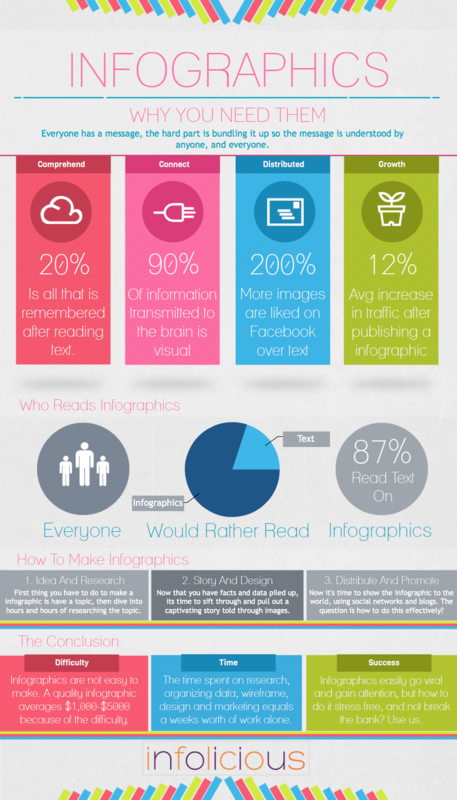 – I started having students create infographics a couple years ago on Google Drawings, but was never satisfied with the results. 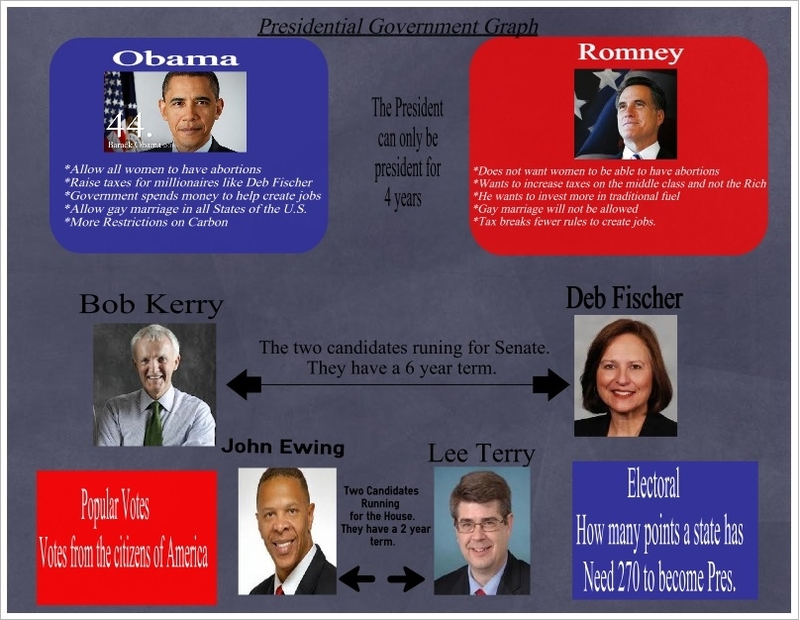 For the 2012 November elections, I had students make infographics about the candidates for president, Nebraska Senate, and Nebraska House seats (see student sample). The students used easel.ly to complete this, but it wasn’t the easiest to use on netbooks with small screens. There were some other alternatives, but later in the year I moved back to Google Drawings because they’d expanded their feature set. I started a template for students and they were able to make some adaptations to it and crank out some nice infographics about the Omaha mayoral race (student sample). We did a few more later in the year and the students really got into the design features and made some neat infographics comparing city council candidates (student sample). 4. – iCivics proved invaluable for the second year in a row in my textbook-less Civics class. I used it regularly during the first year I taught this course, but really dug into it this year. The activities, resources, and interactives provide an extremely rich learning experience for students. If you haven’t used it before, the interactives are amazing (Do I Have a Right?, Counties Work, & Win the White House are some of my favorites). This year, they also introduced a writing component called Drafting Board. It helps students research and construct a persuasive essay around 1 of 5 topics. Drafting Board really breaks down each part of the essay and students end up with a very polished product by the time they finish. We did two Drafting Board essays (one with guidance from me, and one independently) then used the same format to produce an essay on the Second Amendment without help from Drafting Board (sample 1, sample 2). While we still have a ways to go with writing independently, Drafting Board provides a lot of the scaffolding students need to gain confidence with independent persuasive essays. 5. – Programming became a small part of each of my science classes this year. To teach students the basics, I had them use the Google Blockly Maze. At the beginning of the year, Blockly had a single maze that could be solved in a variety of ways. Students always started with step by step commands that turned into long, drawn out programs. After showing them some of the basics of if/then statements and loops, the students were able to refine their programs significantly. Later in the year, the Blockly folks added some new levels to the maze which, by level 10, required some serious coding acumen. Another program that I’ve used in the past, MIT’s Scratch, came out with an online beta version (previously available only by download) that made it much more accessible to students. One pair of students created an amazing program that modeled invasive species for their science fair project. I look forward using it and teaching more programming skills in the coming year. Today was the last day with my EDU 601 class at Creighton University. Â Tomorrow, I’ll be at the Google Apps for Education Summit in Lincoln, NE. Â While I’ve still got a few things cued up for the wonderful men and women of EDU 601 while I’m away, we wrapped up class today with an epically awesome experimental project. We experimented with Google Hangouts several times this summer. Â Some of our experiments were more successful than others. Â We started with having a class completely online after the 4th of July holiday and it was a bomb. Â I realized that if you record an On Air Hangout, you need to make sure you know what screen is being recorded. Â Instead of recording my screen (as I’d wanted to do) it recorded one of the students’ screens because I forgot to mark which screen was being recorded. Â Though the lesson was a bomb, I learned a lot about Hangouts in the process. The following week we worked out the kinks and welcomed @BarbInNebraska as a guest Â speaker in a Hangout that was very successful – the only problem was that I forgot to turn the Broadcast on once we started so it didn’t get recorded. Â Today, we decided to deviate from the standard business and and have a little fun. Â We started a Hangout andÂ choreographedÂ it to ABBA’s “Take a Chance On Me”. Since I didn’t want to violate copyright (we just had our lesson on it yesterday) we turned off all the microphones so we didn’t record the song while it played. Â If you’d like to see what it looked like, you can watch the video below and play the Grooveshark with it. The first test I ever took in college was a humbling endeavor. After a pretty breezy high school experience, the wind was promptly taken out of me when I scrolled down the printed off list of student numbers and saw a 37% next to mine. While I don’t exactly celebrate that moment, it may have been the best thing that could have happened in terms of my future academic performance. My abysmal score on that chemistry test taught me that I needed to change some things. Over the years, I’ve had to change a lot of things with regard to how I teach. The students change, the tools change, and the subjects/courses I teach have changed. Along the way, I’ve failed at a lot of pedagogical attempts. Similar to my college experience, these pratfalls have actually helped make me a much better teacher. With regard to technology integration, it has helped me figure out the best tools to use and the most effective ways to use them. I’ve written about other failures and the lessons learned before (here and here), but below are some of the most recent instances. Before – I used to have students use my Diigo tags to get to specific links for a lesson or put them on my classroom blog. Â Other times, I’d just copy and paste them on a google document that was shared with my students. Â Each of them had various pros and cons, but each option required multiple clicks to get to a single link. Â It ended up slowing down lessons and leading to students accessing the wrong site. Now – I use twitter to share links to my students. Â My twitter feed is on the front page of my website, which is the home page on the students’ computers. Â Now students have one click access to any link I share. Â Better yet, I have my twitter connected to my diigo account, so I can share a link directly from my Diigo. Before – When I first went 1:1, I had students complete the daily boardwork on a google form. Â I had some strong ground-rules for how to handle it, but it ended up wasting too much time in a 45 minute period. Â Some days we didn’t even use the netbooks for the rest of the period and it was a waste to even get the computers out, logged on, etc. Now – After a 1 yearÂ hiatusÂ from paper boardwork, I returned to it this year. Â I find it far more efficient and a lot easier to maintain and setup. Â Even though the google form had some advantages, the paper version was just better. Before – I often got so frustrated at students’ ability to locate and find information for research projects that I’d just break down and create a weblist of sites for students to use. Â This required me to do all the research and find sites relevant to their particular area. Now – While the weblists are helpful to students and I still use them periodically, I’ve recently started focusing on research skills. Â Instead of telling students to just complete research on subject “x”, we spend time talking about the best search terms and ways to narrow down a search and decide if the information is helpful. Â We also talk about how search engines work and why certain sites are at the top of the list. Â It’s still a work in progress, but I think it has helped the students get better at research. * This post is directed at the students in my educational technology class, though I think the tips are usable by anyone. Some of the mentions in the post correlate to things we covered during the semester. Â In most cases, I’ve tried to link back to the specific class to which I refer. At the beginning of this class you all took a survey about your level of experience and comfort with educational technology (results here). As you leave this class, I think it’s safe to say that you’ve expanded your technology toolbox significantly. Â If this is all you leave with however, I’ll feel as if I haven’t been a very good teacher. Â The primary purpose of this course isn’t to show you a bunch of interesting tools, but to promote a more student centric style of teaching in which technology is an assistant, not the driver of pedagogy. Â I introduced this idea in the second class with two other mantras: 1. Move beyond the “bells and whistles” of tech; 2. Use tech to kill “two birds with one stone.” Â With these ideas in mind, I offer a few final tips. Presentations (PowerPoints, Keynotes, Prezis, etc.) are very teacher centric and often over-utilized in the classroom. Brain surgeons didn’t learn brain surgery from a PowerPoint and students won’t remember 30 bullet points about War of 1812 by tomorrow. You’ll know exactly what I mean if you check out the classic comedy routine titled ‘Death by PowerPoint’ embedded below. Here are some tips on how to make your presentation more student centric. â€¢ Instead of words, use a picture and then tell about it. Often, when I use a presentation, I only use pictures and have the students draw their own interpretation of it and include a caption about the picture. This works especially well if you are telling a story or historical event (see the 1300s Black Death sample). â€¢ Keep it short – if you’ve got more than 25 slides or Prezi jumps (unless you’re just cycling through pictures), you are losing your audience. Tip 2: Use educational websites and review activities (flashcards, games, interactives) to shrink your room. We usually think of technology expanding the classroom, but it can actually help shrink your classroom in a positive way. Last year, I did a study on the impact of 1:1 on student progress. I found that 1:1 worked well for some activities and poorly on others. One of the biggest benefits, which I hadn’t thought of until I got some data back, was that the students performed the best when I got to meet with them in smaller groups. Instead of having everyone in the class on a computer related activity (reviewing for a test, completing a lab, etc. ), the students performed best when we split up the class. Half the students worked on a web-based activity and the other half worked with me directly, then switched. Compared with whole class computer activities or whole class teacher led instruction, the results showed a distinct advantage for the blended model. Elementary teachers use stations very effectively (like our speaker @BarbInNebraska), but this methodology tends to lose steam as students get to middle school and beyond. Using technology to shrink your room through stations or dividing the class can increase student outcomes at any level. â€¢ Many of you embraced Diigo from the first class and have been building your online storage tent of websites. I sometimes search my tags for sites that I bookmarked 3-4 years ago. Without Diigo (or Delicious previously), I’d have wasted time on searching and may have never found what I needed. Bookmark everything that has potential. â€¢ In class on Tuesday, I’ll be sharing with you a list of people to follow in Twitter (organized by content area) and a starter list of blogs to follow. Take some time each day, each week, or even every few weeks to see what others in your field are doing. It will help you grow professionally and get lots of great ideas from fellow educators. â€¢ Try out something new with your classes on a regular basis. If it’s a tech project, more than likely it will fail the first time you use it with a class. The first time I use something new with a class, it’s almost always disastrous. Don’t let disaster stop you from trying it again. Be patient – it’s not the end of the world if you have to spend an extra day on a project. In closing, when it comes to educational technology, don’t be afraid to let your students teach you a thing or two. As our speaker (@catlett1) in class 13 pointed out, the digital generation knows a thing or two about all these devices. It doesn’t hurt to let them share some tidbits. In the comments, or on the form sent via email, let me know what you think. Do you feel prepared to take on the classroom of the 21st century? Are there any other things you’ve learned in this class or others that you think are valuable? What challenges relating to technology still need to be addressed? Today was a good day. While it was a bit of an adventure keeping track of 7 student helpers in a sea of over 2000 people at the NETA conference , things turned out great. Our presentation went very well and the students did an amazing job. That, however, was not the best part of the day. The best part of the day came about 12:45 as the students and I returned from a lunch trip to Buffalo Wild Wings. While I quietly worried about the possibility that the internet might not work for our presentation – the students filled the van with a post wing-fest gas attack. The laughter and “aroma” continued to rise and crescendoed at a stop light. In the brief lull before the light turned green, Biz Markie popped on the radio. It didn’t take long for the infectious hook to grab everyone in the van. As we rolled down Q Street singing at the top of our longs, I couldn’t help but smile broadly. I knew, at that point, there was absolutely nothing to worry about. The entire wireless network could have exploded and our netbooks gone with it – we were going to be fine. In that van, were 7 young men and a teacher who were just having fun.